In some of the drafts from 1892 Carl Nielsen’s first symphony (opus 7 in G minor) is called “Symphony in C.” This Symphony was not his first attempt in the genre. As early as 1888 he had started on a symphony in F major, but he never went further than the first movement. So it was performed under the title Symphonic Rhapsody for Orchestra in February 1893, under the baton of Victor Bendix, at one of the so-called Popular Concerts in Copenhagen. By then the Opus 7 symphony, on which he had started as early as the autumn of 1890 in Berlin, was quite far advanced. Johan Svendsen had promised to conduct the first performance of this new symphony, and Nielsen managed with some difficulty to get the fair copy ready for its first performance by the Chapel Royal Orchestra on 14 March 1894. This concert was attended by King Christian IX, Queen Louise and the royal family – hardly on account of Nielsen’s first performance, but rather because it was the first symphony concert by the Chapel Royal after an enforced interruption of ten years. Carl Nielsen was sitting as usual among the second violins. It must have been a great moment for him when, on Svendsen’s request, he left his chair in the orchestra and came to stand on the middle of the podium to receive the audience’s enthusiastic applause. The score, which is dedicated to Anne Marie Carl-Nielsen, was to be published by Wilhelm Hansen later in the year. In the autumn of 1894 Carl Nielsen again took leave from his violinist’s job in the Chapel Royal Orchestra. This time his motive for going abroad was different: he was no longer travelling to study, but to promote his own music. Anne Marie stayed at home at first and only joined him one and a half months later. Carl had his G minor Symphony in his luggage, and his publisher Alfred Wilhelm Hansen (1854-1923) also went to Berlin to help him. Among other colleagues Carl Nielsen met Ferrucio Busoni, Richard Strauss (“a most unsympathetic person; a social climber who is already trying to play the great man”), and Brahms. Brahms promised to look more thoroughly at both the Symphony and the F minor String Quartet, and a few years later he sent him greetings through a common acquaintance together with appreciative words about the symphony. 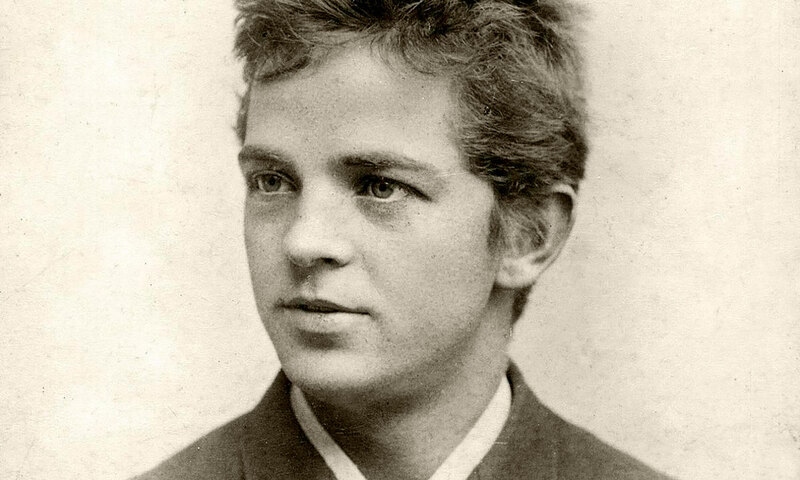 Carl Nielsen’s journey had at least one positive result – on 18 March 1896 he conducted his Symphony in Dresden (where he shared the bill with Richard Strauss!) and had a success. The inspiration for Carl Nielsen’s first great cantata for soloists, choir and orchestra, Hymnus Amoris (1896), is to be found in his honeymoon with Anne Marie. In Padua they had been deeply moved by Titian’s picture of a young man who kills his beloved out of jealousy. They both decided to depict love in all its aspects through their art, but only Carl carried out his plan. Together with his friend, the folklorist Axel Olrik (1864-1917), he designed a text in which the four ages of life sing the praises of love. Then the philologist J. L. Heiberg (1854-1924) translated the text into Latin. Carl Nielsen had prepared himself by studying the choral style of the old polyphonic masters, and this cantata, which he dedicated to his old theory teacher Orla Rosenhoff, was a great success at its first performance, which he conducted in person at the Music Society on 27 April 1897. When Carl Nielsen started thinking about composing an opera in 1896, he vacillated at first between two very different subjects: J. P. Jacobsen’s “Marie Grubbe” and the Old Testament narrative about Saul and David. He finally settled for the latter. At the end of 1898 he approached Einar Christiansen to write the libretto, which was complete by January 1899. The composition process took some time, among other reasons because both husband and wife had received study scholarships and had left for Italy in December 1899. This did not completely prevent Carl from composing, however, for the triumphal hymn in Act II after David’s victory over the giant Goliath was written in the garden of a tavern in Pompeii! After the opera had been accepted by The Royal Theatre, Carl Nielsen took his courage in both hands and asked to conduct it himself. He was allowed to conduct the first three performances. The premiere took place on 28 November 1902, conducted by Nielsen and directed by Julius Lehmann and with Niels Juel Simonsen and Vilhelm Herold in the title roles. After the third performance Frederik Rung, the regular conductor, was to have taken over the musical direction but he fell ill, so Carl Nielsen ended up conducting all nine performances in the course of the season. Even before “Saul and David” was completed, Carl Nielsen had started work in 1901 on his Second Symphony which, unlike the first, was a piece of programme music, that is to say an evocation of the four temperaments as in pictures he saw hanging in an inn during an excursion to the Zealand countryside. What the composer had to find here was a delicate balance between the constraints of programme music and the absolute musical demands of the symphonic genre. In December 1901 Carl Nielsen completed his Symphony. His friend Henrik Knudsen made a piano adaptation for four hands, and they both left for Germany to promote it. Busoni in Berlin was responsive – he promised to arrange a performance, and in gratitude Nielsen dedicated his Symphony to him. A year after Nielsen had conducted the first performance of this Symphony for the Danish Concert Association (on 1 December 1902, three days after the first performance of “Saul and David”), he had the opportunity of conducting his new work with the Berlin Philharmonic Orchestra. But whereas in Copenhagen the reviews had been quite appreciative, in Berlin he took a beating – so badly that for once he lost his spirits and had difficulty in starting composing again. From 1901 onwards Carl Nielsen received a yearly state grant of 800 crowns, and at the beginning of 1903 he signed a regular contract with the publisher Wilhelm Hansen. This allowed him to take leave from his job as a violinist in the Chapel Royal Orchestra and go to Greece to join Anne Marie, who had been granted the Ancker Award and was one of the first sculptors to be allowed to make copies of the bas-reliefs and statues in the Acropolis Museum in Athens. The local conservatory placed a study room with a piano at Carl Nielsen’s disposal. Here he could sit and compose when he was not on excursions in the surrounding mountains with or without Anne Marie. It was in that small study room that, on 23 April, he finished his concert overture Helios, in which he depicts the movement of the sun through the sky from dawn to dusk. Meanwhile, he had written to Julius Lehmann and tried to persuade him to provide the text of a new choral work to be called Sleep. Lehmann was the theatre director who had been responsible for the production of “Saul and David” and who was later to stage “Masquerade” too. But Lehmann refused, and instead it was Johannes Jørgensen who wrote the textof the new cantata on the basis of Carl Nielsen’s draft. After a trip to Turkey, Carl and Anne Marie travelled home through Italy and reached Copenhagen at the end of July. On 8 October of the same year, Johan Svendsen conducted the first performance of the Helios overture with the Chapel Royal. Meanwhile Johannes Jørgensen had completed his text, and by the end of November Nielsen was able to start on the composition of Sleep. In April 1904 Carl Nielsen had to take over at short notice as deputy conductor at the Royal Theatre. Johan Svendsen was ill and Frederik Rung (1854-1914) was on leave. He continued to replace Svendsen in the following season until March, when he received a letter notifying him that from the start of the next season he was again only to play the violin in the orchestra. He regarded this as so insulting that he tendered his resignation. Accordingly, when he came to conduct “Masquerade” in 1906, it was as a guest composer-conductor. This went so well, however, that when Johan Svendsen finally resigned because of illness in 1908, Carl Nielsen was offered a permanent position as conductor.